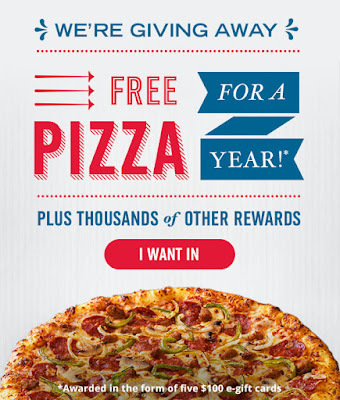 Savvy Spending: Domino's Pizza: New Quikly Promo- enter for a chance to win FREE pizza for a year! 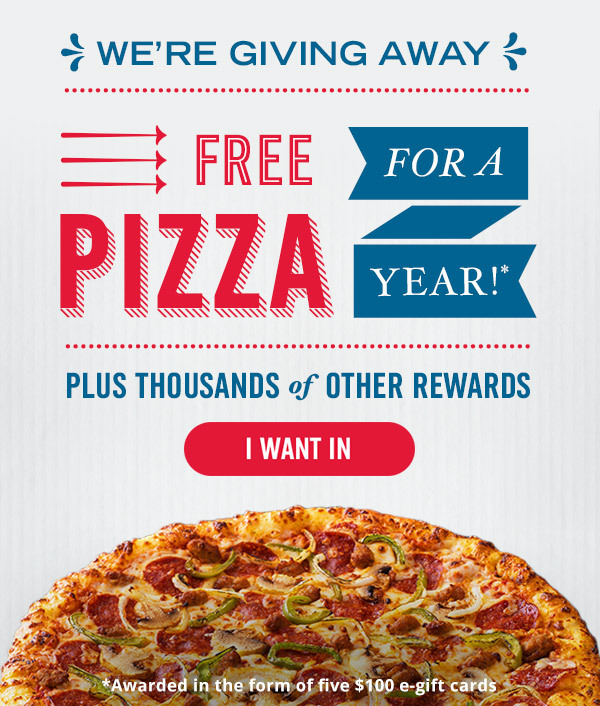 Domino's Pizza: New Quikly Promo- enter for a chance to win FREE pizza for a year! Domino's is offering another Quikly Challenge- You can opt in for a chance to win FREE Pizza for a Year! Just go here and click the "I Want In" button and follow the steps. You'll receive an email or text to notify you when the promotion is going to go live and you'll need to click the link QUICKLY for a chance to win! The quicker you are, the better your prize! I've won a few gift cards through this promotion, so it's worth a shot!